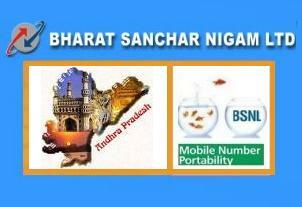 In a bid to provide Superior customer care experience and expanding the subscriber base, Bharat Sanchar Nigam Ltd (BSNL) today announced a new initiative dubbed as ‘Customer Delight Month’ in Andhra Pradesh Telecom circle. According to BSNL during the “Customer Delight Month” company employ will address all Grievances Pertaining to Quality of Service, Transparent Billing, Improve customer satisfaction level and make efforts to motivate and bring customers from other service providers to BSNL via mobile Number Portability (MNP). Announcing the new initiative, Mr. Rajiv Agarwal, CGMT, BSNL, Andhra Pradesh circle, said “We want to send a message that we care for the customers. To improve the Quality of Service, the focus would be on four aspects, Zero Fault Rate, Total customer care, customer awareness and Review. Mr Agarwal also said that all Landline faults shall be cleared on the same day while all cable faults and broadband faults will be cleared within 48 hours. Awareness programs during the Month of May will be organized through pamphlets, display posters, flexi-boards and also through media to spread the “WE CARE” message towards the customer. It is significant to say that by the end of 31st March, BSNL received about 1.34 lakh applications from customers of other mobile operators for moving to their network under Mobile Number Portability (MNP). From last few months BSNL becomes most prefered GSM Network in Andhra Pradesh circle in terms of MNP as earlier we shared on TelecomTalk. I live in Ashok Nagar. A few days back , an operator called me and asked if I would like to have a call tune. At the spur of the moment I said Yes. Now the tune keeps coming as also some announcement regarding portability. I have called up your customer service almost 50 times . but no one lifts the phone and there is no response. I am fed up and want an early action on this.